This one is absolutely incredible! 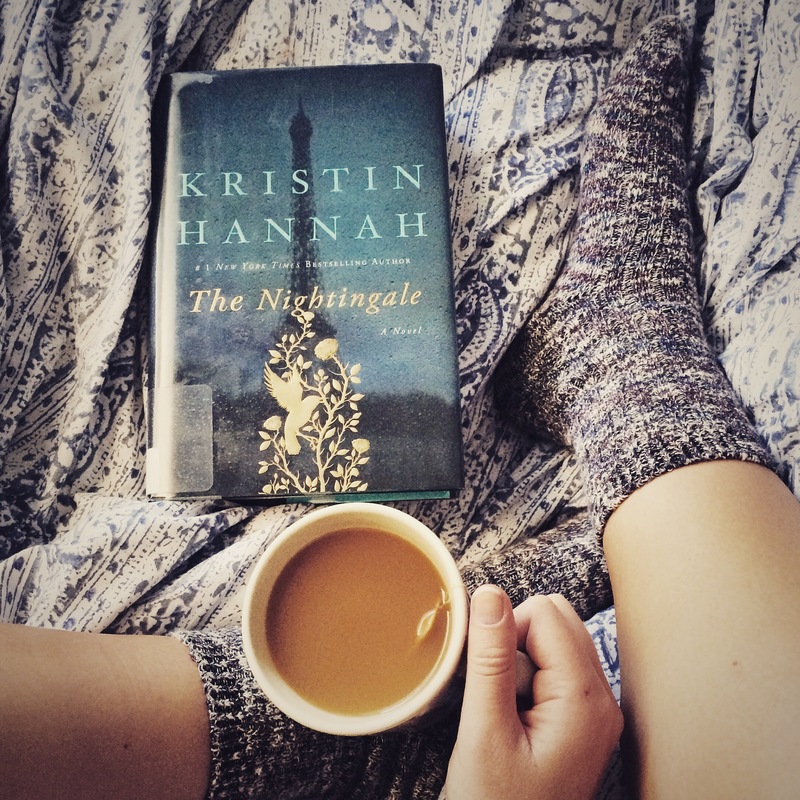 The Nightingale by Kristin Hannah is a story that must be shared and read over and over again. Hannah shares with us the story of two sisters, Vianne and Isabelle, young women living in France during WWII. Hannah has done a fantastic job here, the book has great character construction and many different dynamics running throughout. The elder sister, Vianne, has always been the weak one. When her husband is drafted for the war she has no choice but to stay strong for her daughter. Through Vianne’s story we get a glimpse into the life of a mother trying to survive through German occupation, while starving, freezing, and hosting German officers in her home. Isabelle, the younger sister, is wild and has few thoughts for the consequences that her actions will cause. All her life she has felt unloved, a motherless girl being pushed away from a father and sister who cannot cope with the loss, kicked out of every boarding school she’s attended. When she joins the resistance against Germany she finds herself right in the center of it all. The Nightingale is a beautifully written story and so terribly sad. These women are so brave, and although they are fictional, they represent very real people. I loved this book and highly recommend it to everyone, not only historical fiction lovers. I’m reading this right now, what a coincidence. 🙂 I’m enjoying it so far! I, too thought this was a truly amazing story. I love the voices of the characters. You can clearly feel their pain and sorrows. Nice review!! I loved this book. It was one of the best this year for me. Thanks for posting a review. I’ve glanced at it before and always thought the cover looked intriguing but never looked at the summary. I love strong characters! Did the two being sisters make the characterization and plot stronger? I haven’t seen many reviews of this book and it seems so interesting! Glad to see someone liked it, I’ll definitely be adding it to my TBR list. It’s one of the best books I’ve read this year! I definitely recommend! Yet another positive review on this book. It really sounds interesting! This intrigues me as much as All the Light We Cannot See. It lives up to all the positive reviews I had heard too! The two books are both great though, just very different view points of the war. Thank you. You have made me want to read this book. Just put it on my Goodreads!